Is the Hobie Compass Duo right for you? Our buyers guide can help you make the right choice. 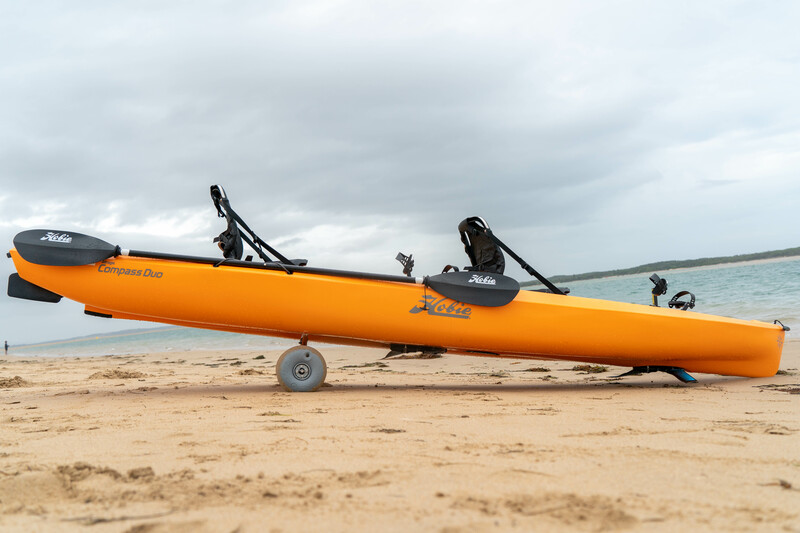 The new addition to the Hobie Kayak Fleet is the Tandem Compass Duo. 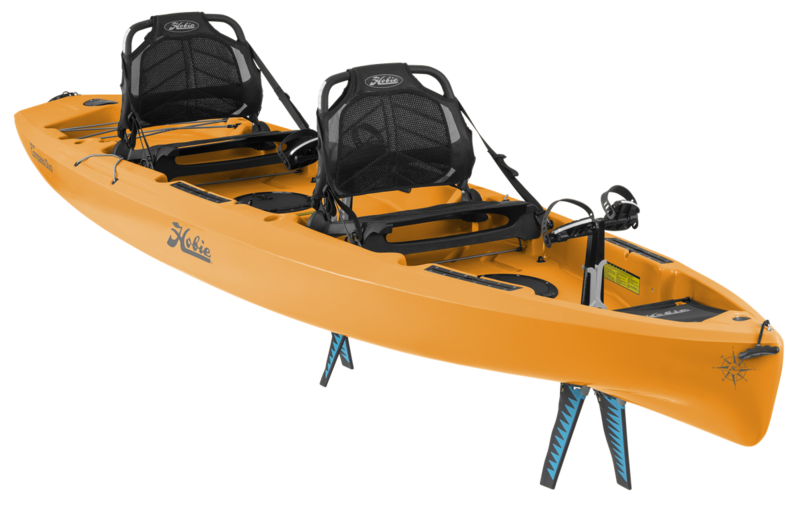 This kayak is designed to be the family fun, fishing and recreational kayak. This well designed hull has a sleek bow for speed and to handle wind chop, recessed kick-up rudder and molded in keel keeps you on track whether paddling or pedaling and a spacious extra wide cockpit for comfort and stability. With the use of integrated H-Tracks, installing and removing your fishing accessories is quick and easy. Additional features include molded in mid-ship handles, sail mount, 4 molded in rod holders, two 8" hatches for in hull storage and bow and rear cargo areas for all of your above hull storage. The additional carrying capacity of 22 kgs over the Hobie Outfitter makes this the go to tandem kayak. Our on water test drive days are done on Andersons Inlet, Inverloch. Click the button below to book your Hobie Compass Duo test drive today.